Office Design : Part 2 | Design Ergonomics Inc. The following is a reprint of an article that was featured in “Dental Economics” May 2002 issue- entitled, “One Dozen Essential Elements of a Great Dental Office Design” Part 2 by Dr. David J. Ahearn. Workflow We now can look at how we put those pieces together into an entire practice. This edition completes the “baker’s dozen,” and we hope it leaves you with a clear-cut plan for what you will want in your new office environment. 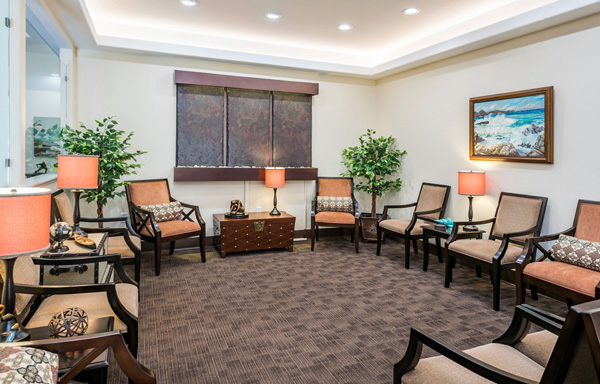 Now that the conceptual foundation for a great dental office has been established, clearly define the professional and economic objectives that you desire in the new construction or renovation – and put your thoughts in writing. Attract a more affluent clientele? Each of these objectives must have clearly defined solutions prior to commencing the actual design process. Make sure you are confident that your design team understands this and can act upon the ramifications of these decisions. Have you ever heard of a construction project where the final price was less than the contractor’s initial estimate? I didn’t think so! Whether it’s new construction or remodeling, once you have committed to your objectives in writing, prioritize them into must-haves, really-wants, and hope-fors. In the enthusiasm of creating a new future for your practice, don’t lose sight of the written goals. Although an office should be a comfortable place to enjoy one’s work, it ultimately must serve as a profit center. The military estimates that as much as 60 percent of a structure’s cost results from long-term maintenance – not the original construction costs. That’s amazing! Your plan must include ease of maintenance. An office is not a monument, art project, or the world’s greatest real estate investment. The building of any new office should be grounded on a sound dental business opportunity. With appropriate planning, it can be. Save money in the purchase of your core equipment so that you’ll be able to spend your dollars on the high-technology products that you need – and patients want – for the future. Relentlessly pursue the consolidation of treatment rooms. Efficient room organization and three-dimensional planning for true ergonomic function allows comfortable, efficient, and attractive treatment room pairs in as little as 16 feet of width including wall space. Consolidated spacing leads to a proportional decrease in plumbing and electrical costs per room. 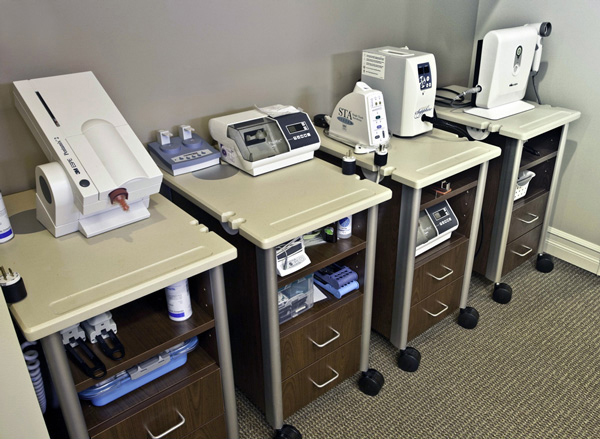 With efficient treatment room layouts, sterilization becomes truly centralized and hygienists are not wandering the corridors in search of a doctor. 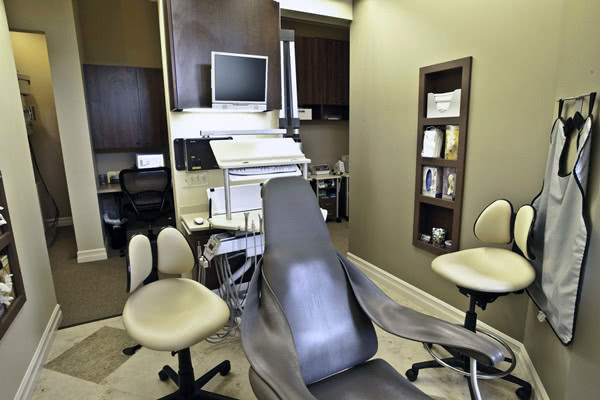 Often, these space and cost savings are great enough to fit in and fully pay for an additional treatment room. FIGURE 1: No matter what your delivery system preference, compact and efficient room layout markedly improves performance. While patients are impressed by care, concern, privacy, and yes, even technology, their emotional support for the practice can be easily eroded by cluttered, cabinet-filled, claustrophobic treatment areas that offer little privacy. Ultimately, this is where patients either become comfortable in your care or not. Design your office for simple and inexpensive equipping. Embed core technology within your equipment, don’t purchase equipment that forces you to “patch on” the tools that you use every day. FIGURE 2: Embed all of your core technology directly into your chosen delivery system. Additionally, it does not make economic sense to save a small amount of money on design and construction that results in the need to lease or purchase expensive cabinet room dividers and head walls. Even if you rent your office space, the tax savings gained by leasing a thousand-dollar cabinet will never exceed the economy and privacy of simple and inexpensive solid-wall room dividers which, in addition to their economy, are far more easily maintained by the reapplication of paint or wallpaper as your years of practice progress. 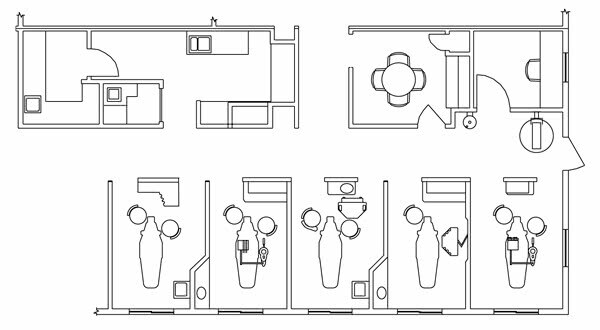 FIGURE 3: Paired doctor and hygiene rooms in only 16′ of width. FIGURE 4: A typical Rapidcart® parking lot in a multi-user group practice, showing imaging, operative, endo, and perio units. 13. YOU’VE GOT TO HAVE “WOW”! FIGURE 5: It’s not expensive to create a patient area that communicates a sense of quality care. Your office design sits at the crossroads of practice productivity and customer satisfaction. It communicates your commitment to patients and is the launch platform for profit. The efforts you make in the planning stages of your new office will bring great rewards in the finished product. 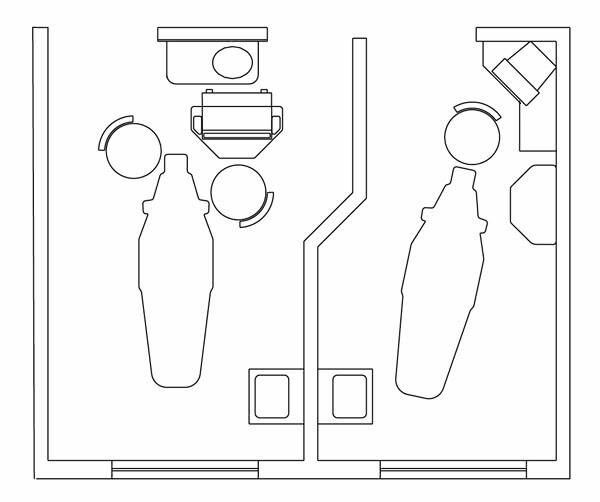 In our next article, we will discuss the essential elements of treatment room design and productivity.